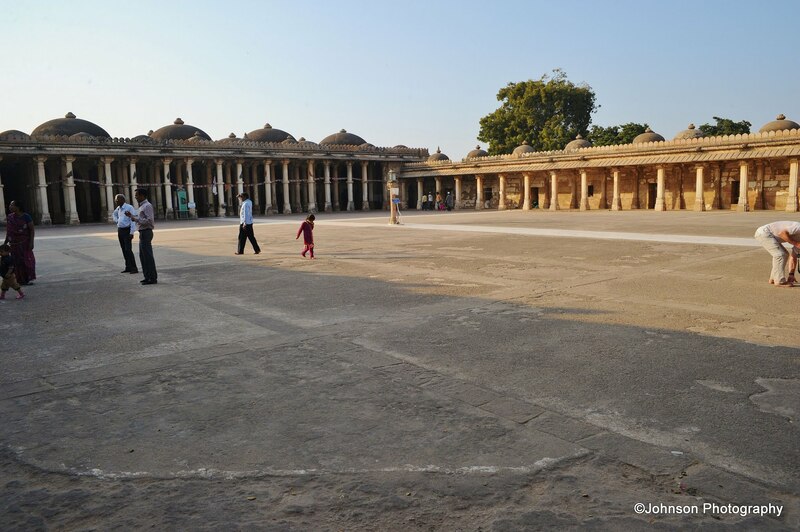 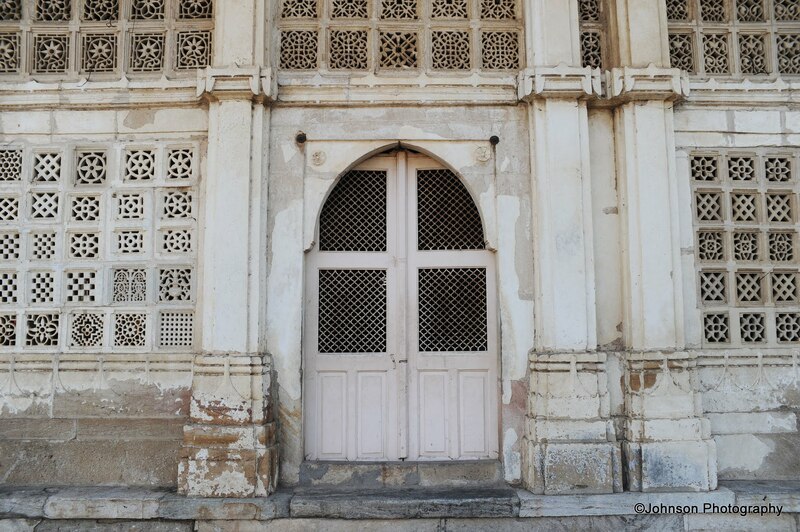 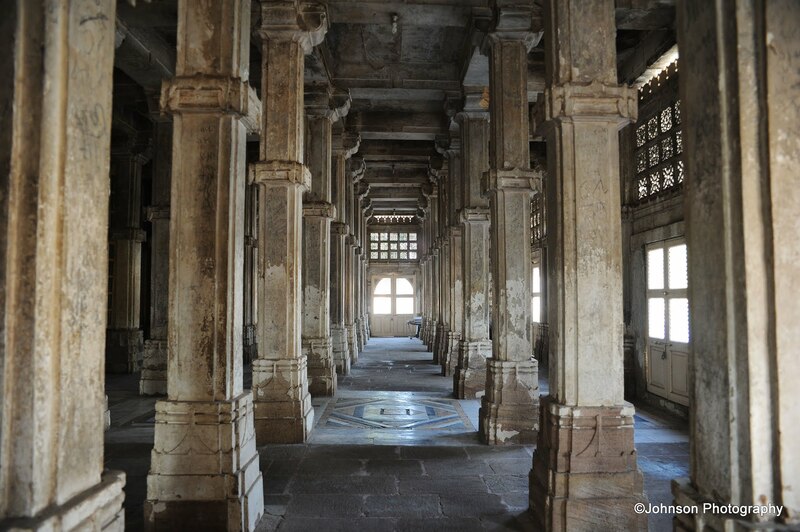 Sarkhej Roza is located 8 km southwest of the city of Ahmedabad in the Indian state of Gujarat. 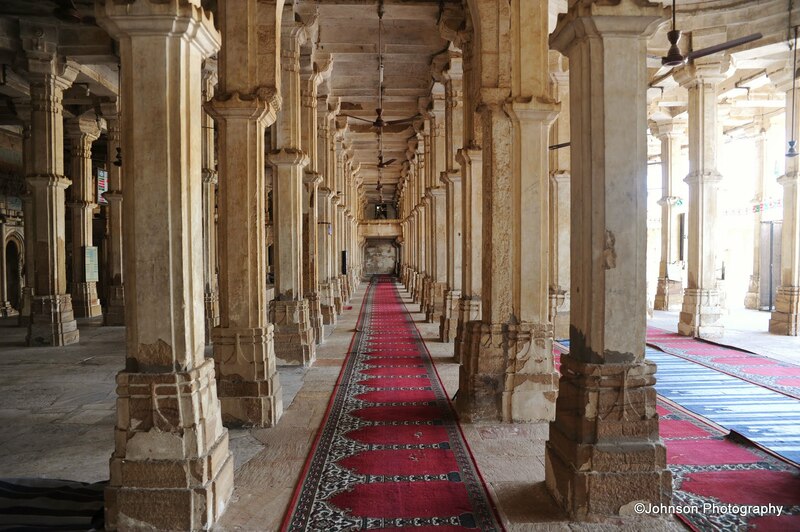 This mosque and tomb complex is known as “Acropolis of Ahmedabad”, due to 20th century architect Le Corbusier’s famous comparison of this mosque’s design to the Acropolis of Athens. 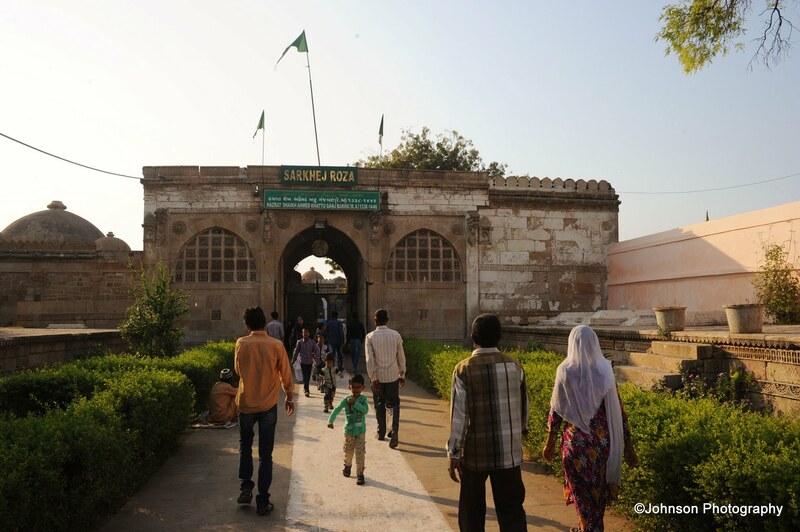 Sarkhej was once a prominent centre of Sufi culture in the country and is where the influential Sufi saint Shaikh Ahmed Khattu Ganj Baksh lived. 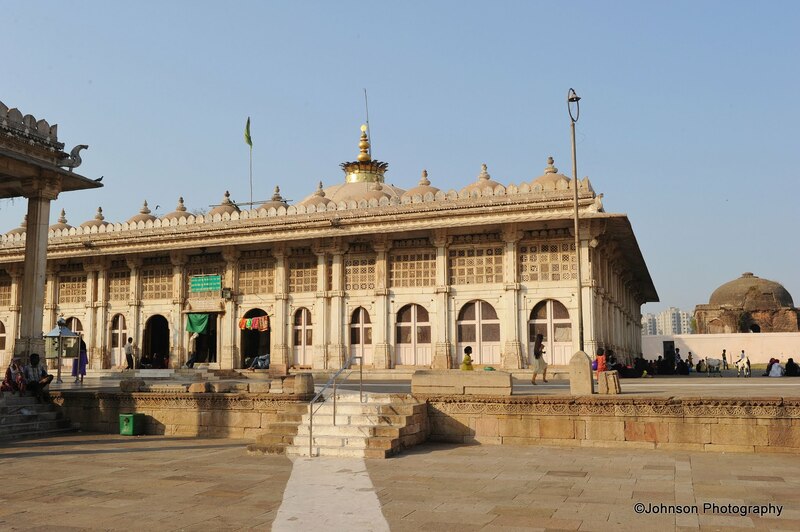 The architecture of this complex is credited to the Persian brothers Azam and Muazzam Khan. 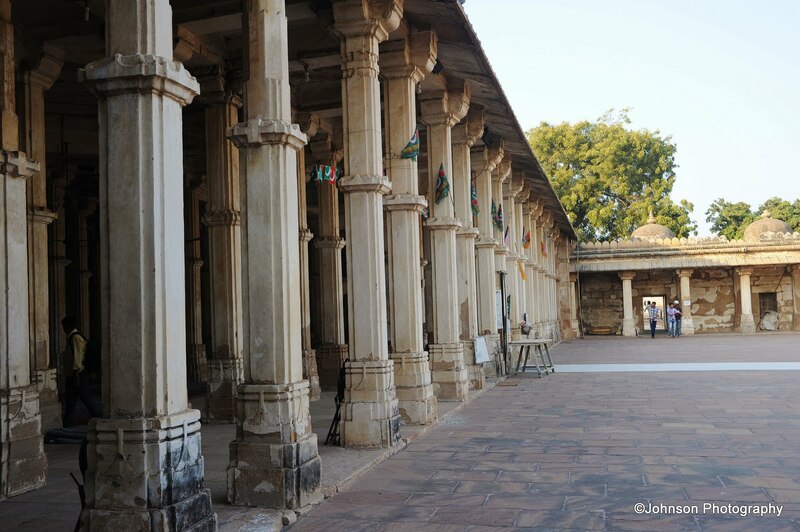 The complex was originally spread over 72 acres, surrounded by elaborate gardens on all sides. 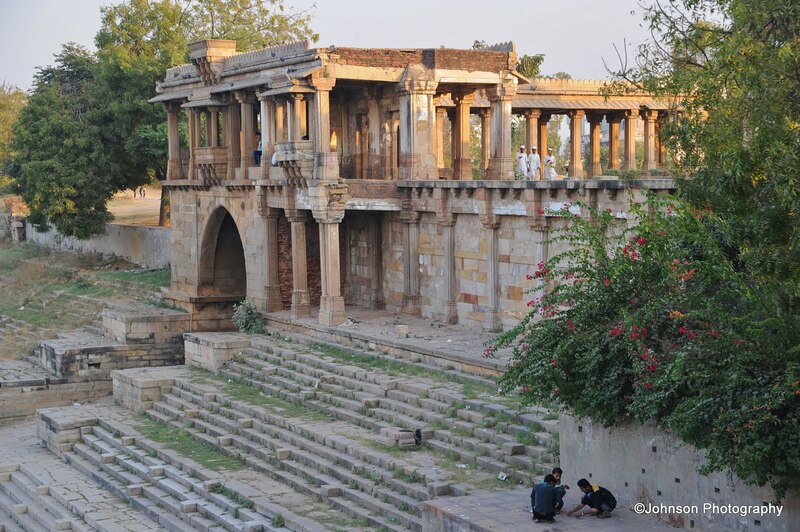 Over time human settlements came around it, eating into the gardens and reducing the area to 34 acres. 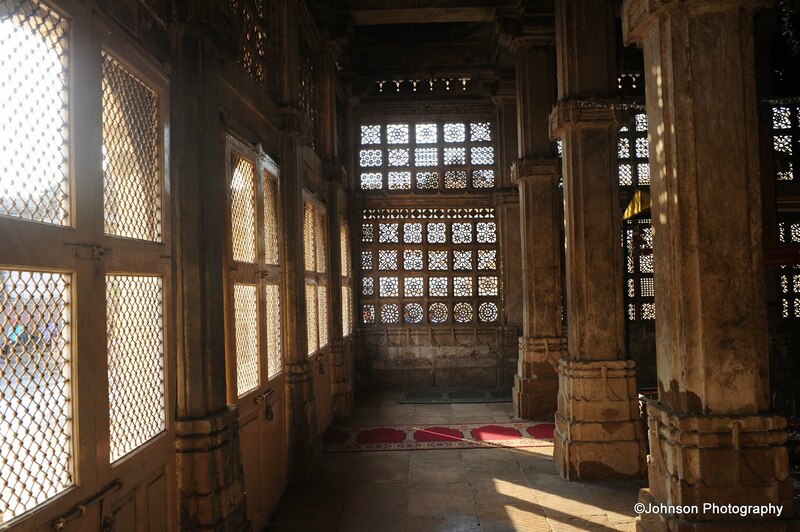 Shaikh Ahmed Khattu Ganj Bakhsh the friend and advisor of Ahmed Shah I, retired to Sarkhej in his later life and died here in 1445. 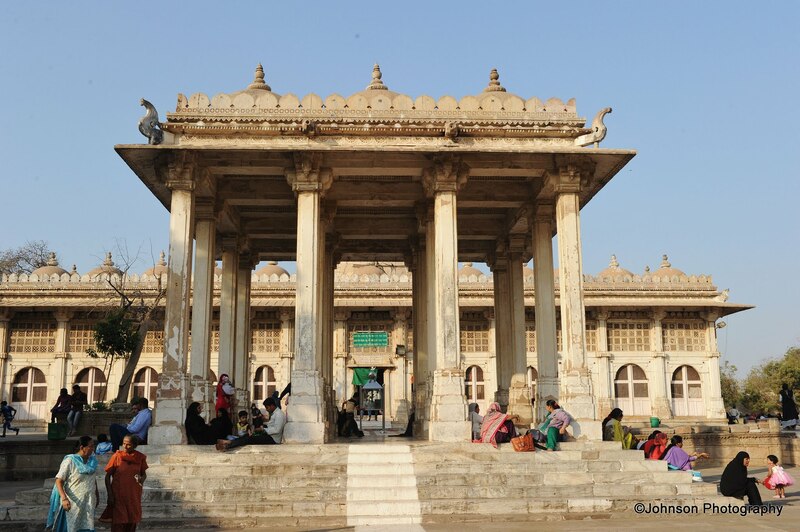 In his honour, a tomb was constructed by Ahmed Shah II. 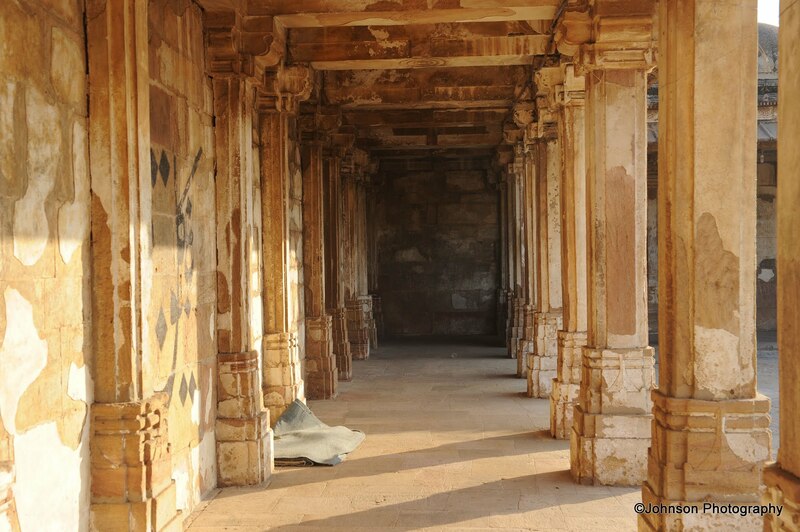 The construction of the tomb was begun in 1445 and was finished in 1451. 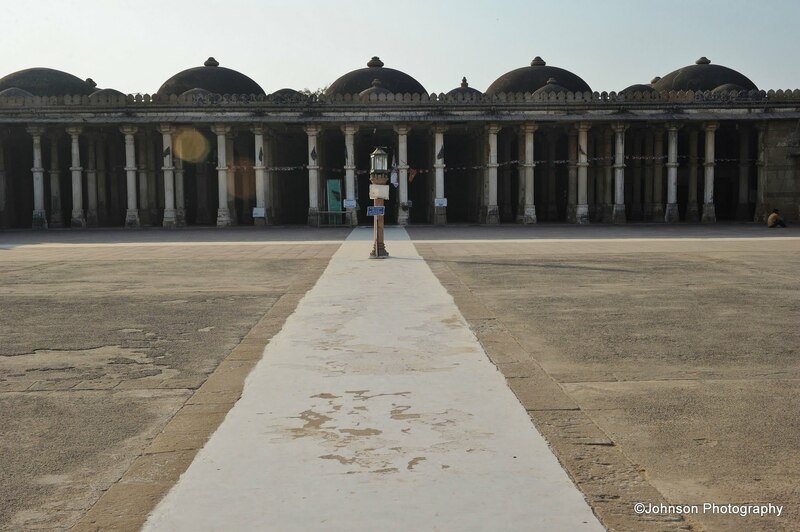 The next sultan Mahmud Begada was fond of the place and expanded the complex greatly. 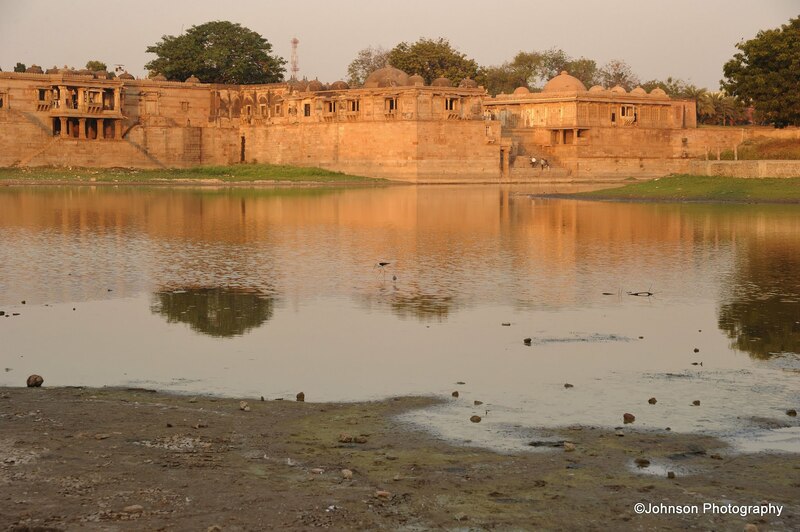 He dug a large lake, surrounded it with cut stone steps and built a splendid palace on its south-west corner. 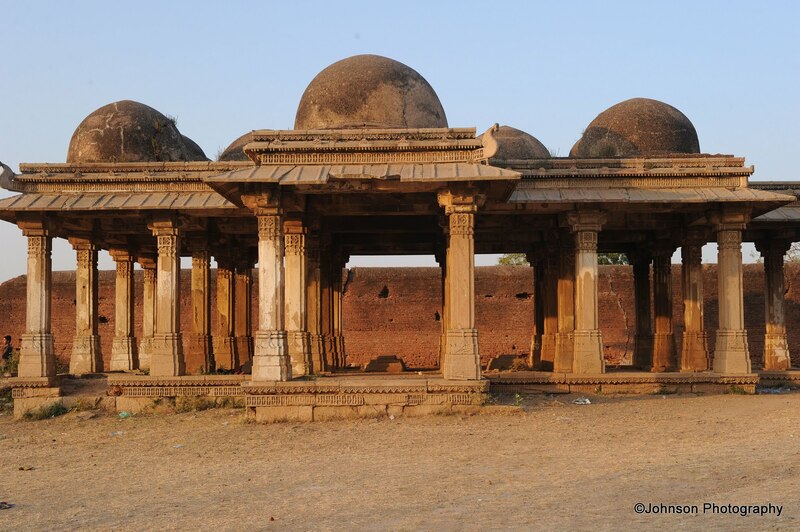 He also raised a mausoleum for himself and his family opposite to Ganj Baksh’s tomb. 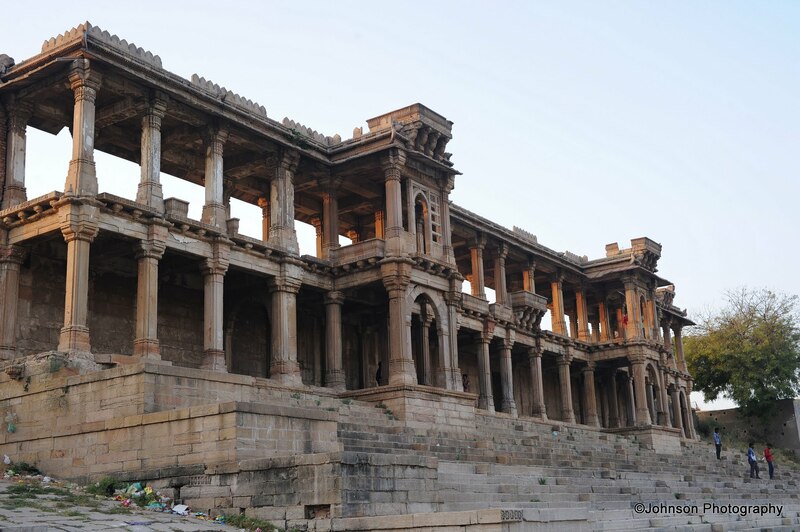 There is a sixteen pillared structure popularly known as Baradari is situated in the central portion of the open courtyard and is seen when we enter the main gate of the Roza. 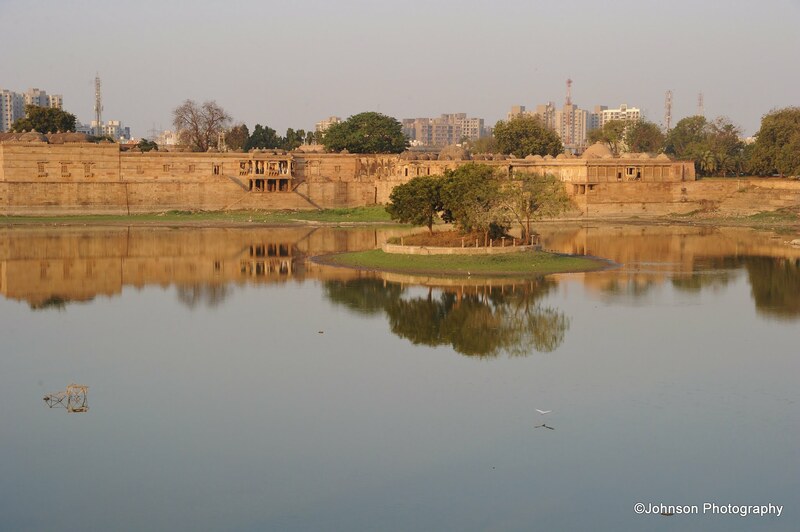 There is a folklore which says that the excavation of the lake and the building of the Jama masjid in its initial states were supervised by Shaikh Ahmed Khattu himself from the Baradari. 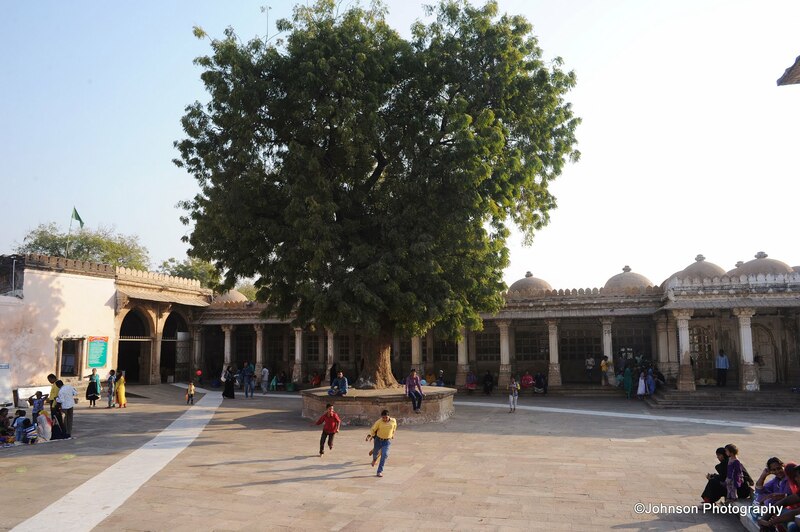 Beyond the Mausoleum of Ganj Bakhsh is a courtyard, covering more than an acre of ground, surrounded by cloisters, is a huge mosque. 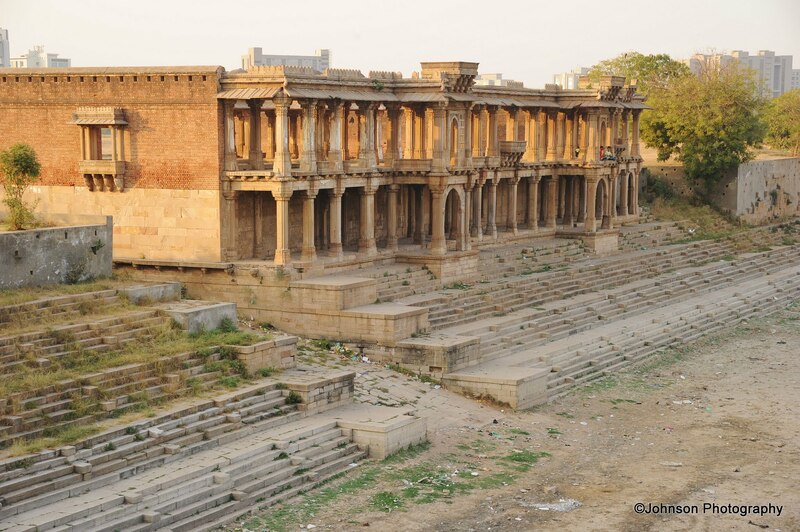 The other side of the lake on the south-west corner are Mahmud Begada’s palace and harem. 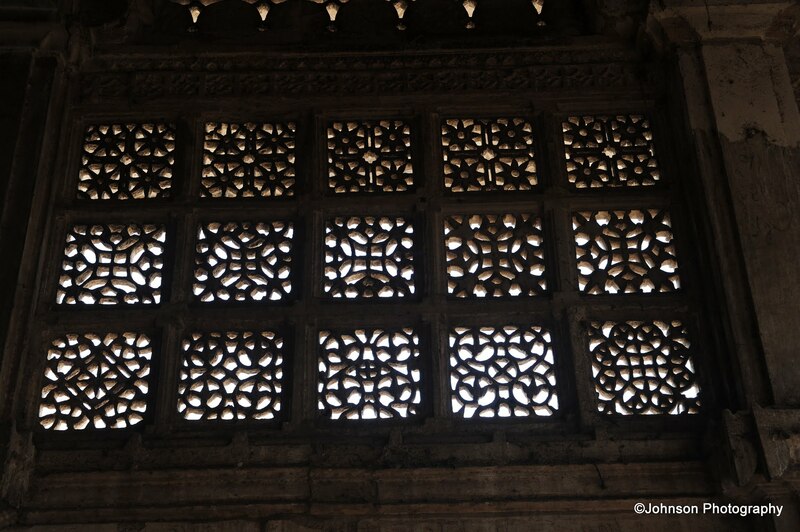 Like many of Ahmedabad’s structures the architecture of Sarkhej Roza is a combination of elements of Hindu and Islamic design. 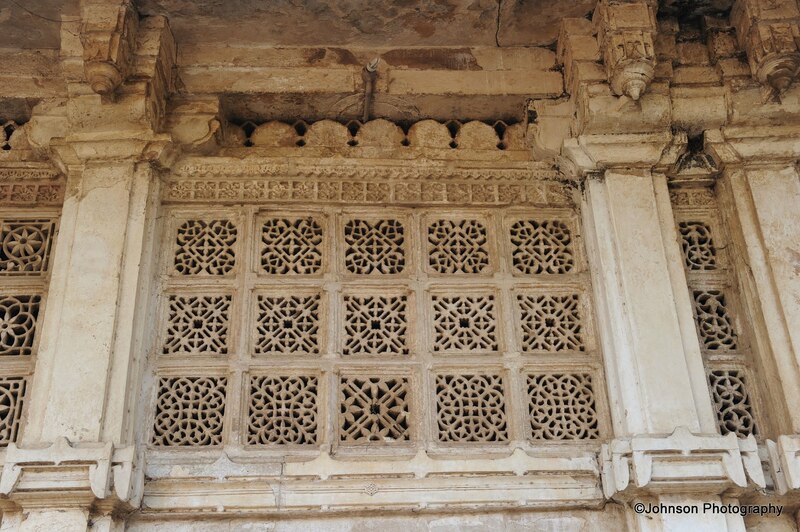 Most of the buildings do not have arches and depend on pierced stone trellises for stability.